For my own twist on Throw Back Thursday (TBT) I’m going to post a book that I’ve previously read prior to starting this blog. For my first installment, here’s one of my favorites. While this is not a book I’ve read recently, it’s one I want to get onto Hidden Staircase. Whenever someone asks me for a book recommendation, this is always the first book that comes to mind. Don’t shy away because it’s written by Stephen King. This is not a horror story. Far from it. 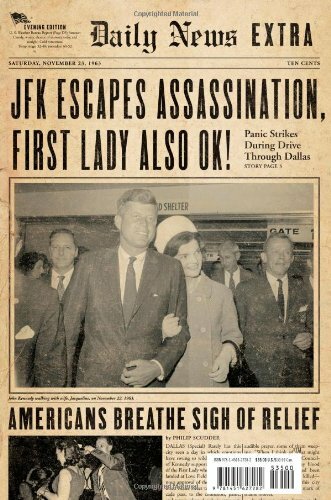 11/22/63 is just great storytelling. My brother loved it because he has always been interested in the Kennedy assassination, and the potential cover up there. (As am I.) I loved the premise – what if you found a wormhole in time, and you could use it to go back and change the past. Would you change the events? Could you? How would the future change for the better? What effect would it have on you? 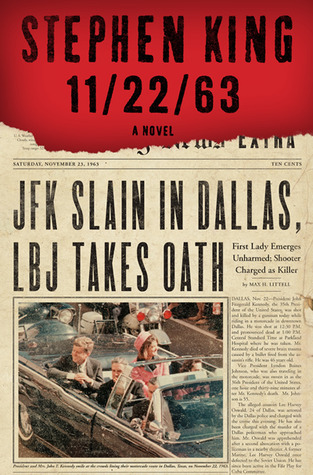 11/22/63 starts out as a time travel book. But along the way it turns into something else. It’s a book about life. The life you chose to lead, the life you were meant to lead. Below comes from my original Goodreads book review. It was when I stopped living in the past and just started living. Jake’s path and the life he finds make this book much more than a simple time travel experiment. He discovers that dancing is life. This is my favorite Stephen King book. He did such a great job with the story.